Value management has evolved out of the concept of value and function, pioneered by Lawrence D. Miles in the 1940’s and 50’s who developed the technique of Value Analysis (VA) as a method to improve value of existing product. The Institute of Value Management. Value Engineering or VE should consider a) is it worth the money and b) does it serve the required purpose. To value engineer it should include three parties working closely together; the user, designer and builder. 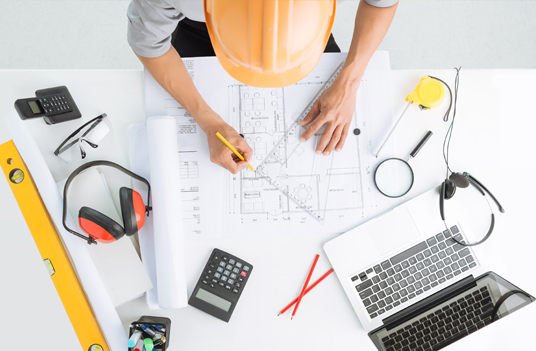 The user who is not necessarily the client in contractual terms needs to convey the way they will use the project, the designer can ensure the product meets the criteria and the builder can ensure the product is worth the money. To ensure value, the three parties need to collaborate. The process is often paid lip service, with a contractor putting forward a cheaper product and the consultant rejecting the product because it’s not the same. Often suppliers assist in the design process which can involve writing specifications which make finding the same product impossible. With PFI and PPP there is a real awaking by the construction industry to consider the Facility Management cost (FM) or wholelife cost. The capital cost of a product is often dwarfed by the maintenance and energy cost of the product, but these costs are often not fully appreciated. How can a designer know the maintenance cost? This is where the clients benefit from the contractors early input, particularly where they can offer maintenance. The designer can prepare energy cost models, but only if they have input from the facility user. Therefore collaboration has the greatest chance of ensuring value is met. Value for the user might be different to value seen by the designers, builders or FM. For example energy efficient products carry tax incentive breaks in the form of Enhanced Capital Allowance (ECA), where they are selected from the energy technology list, but are of little use if the client is not the user or is a charity or public body. A client and user should begin the collaboration process early to avoid good ideas being left on the drawing board.